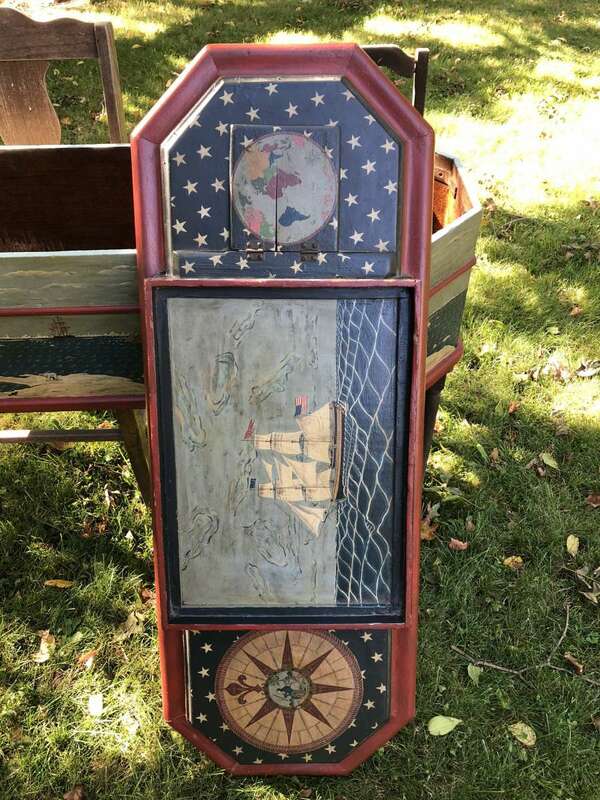 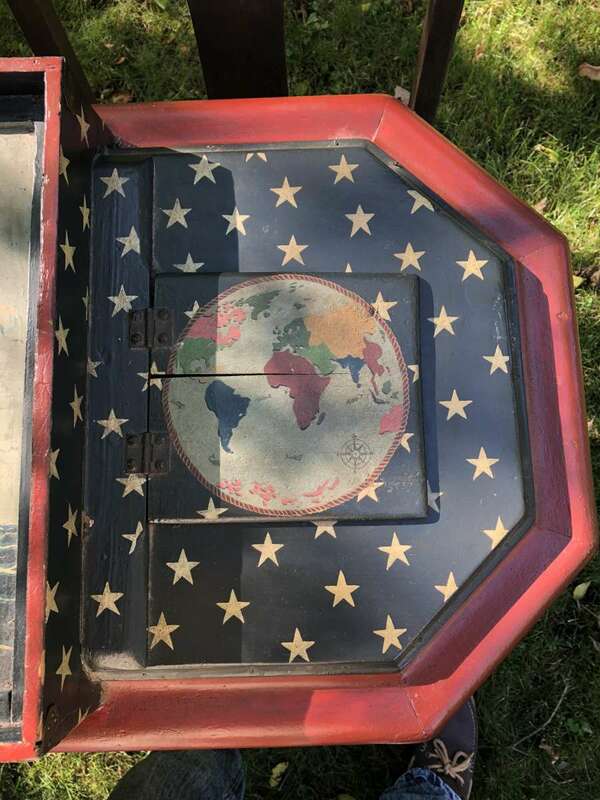 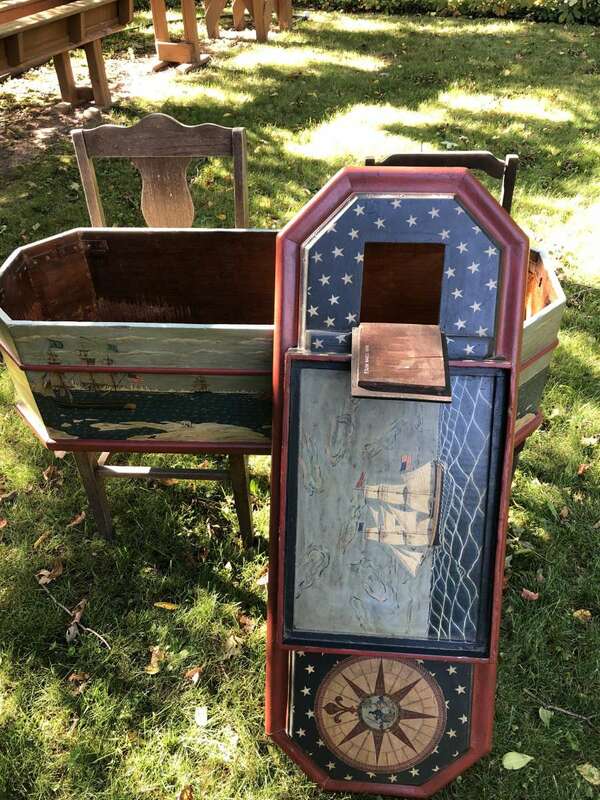 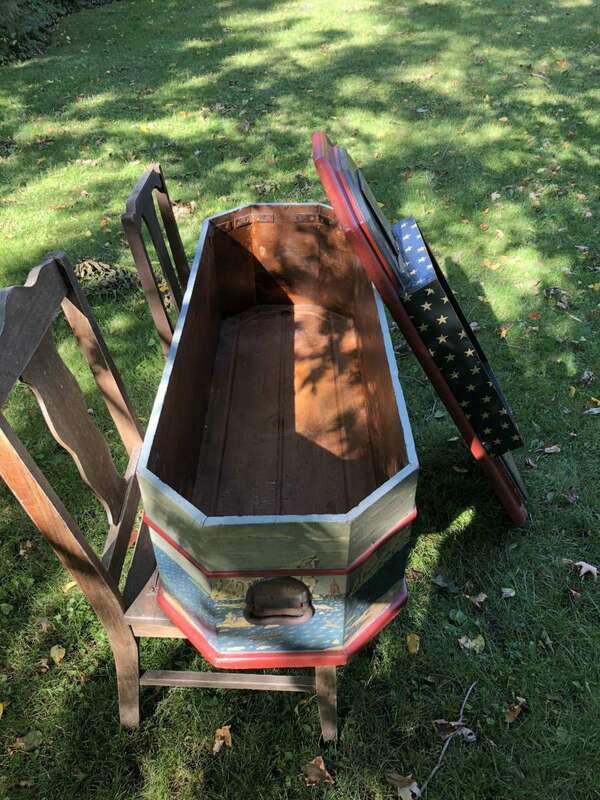 An original child’s viewing casket dating to the early 1900s with viewing window. 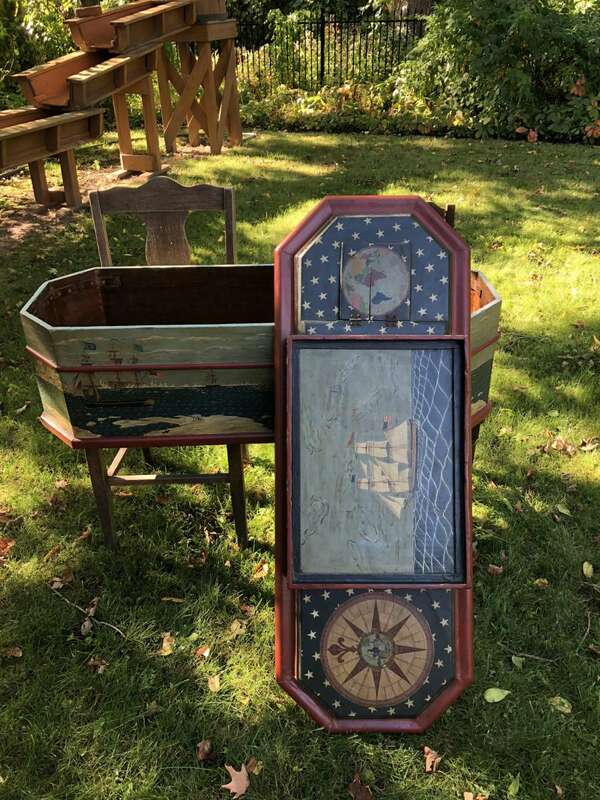 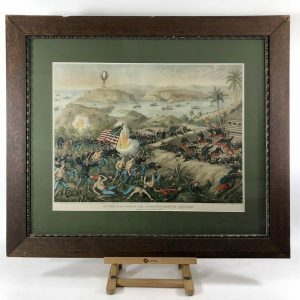 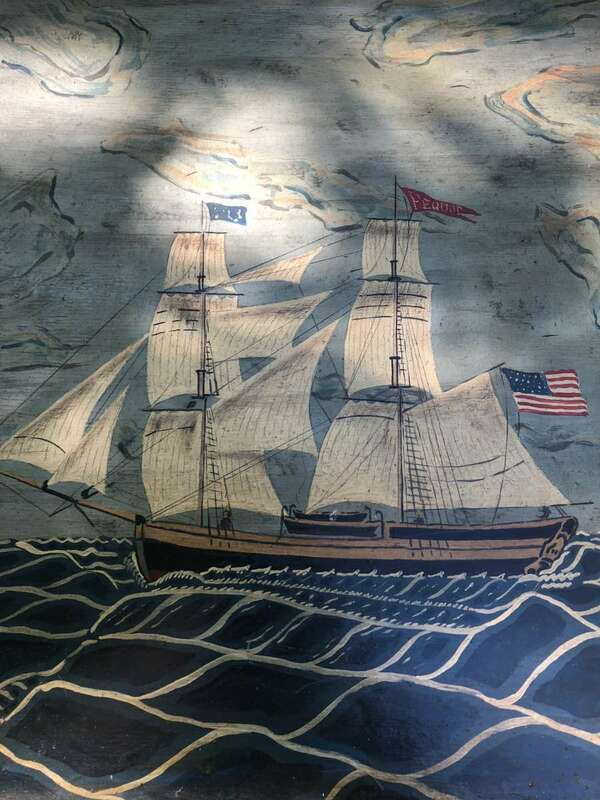 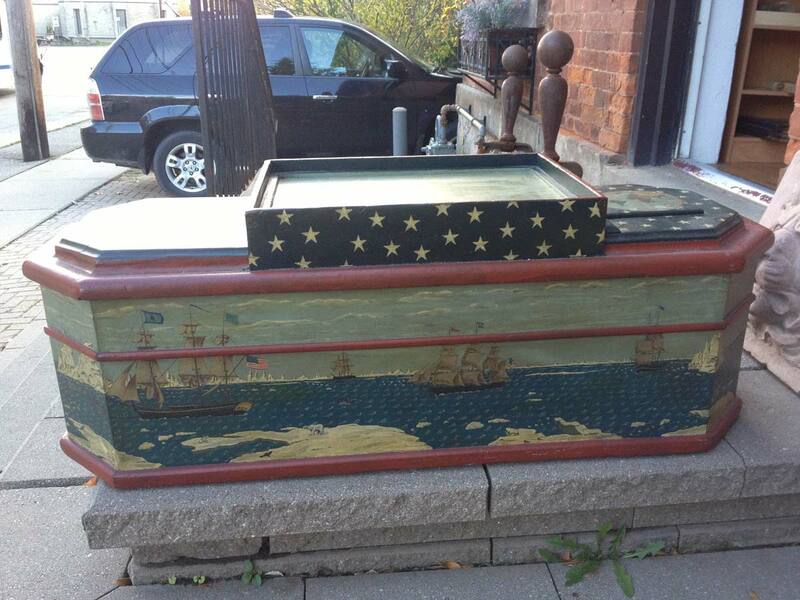 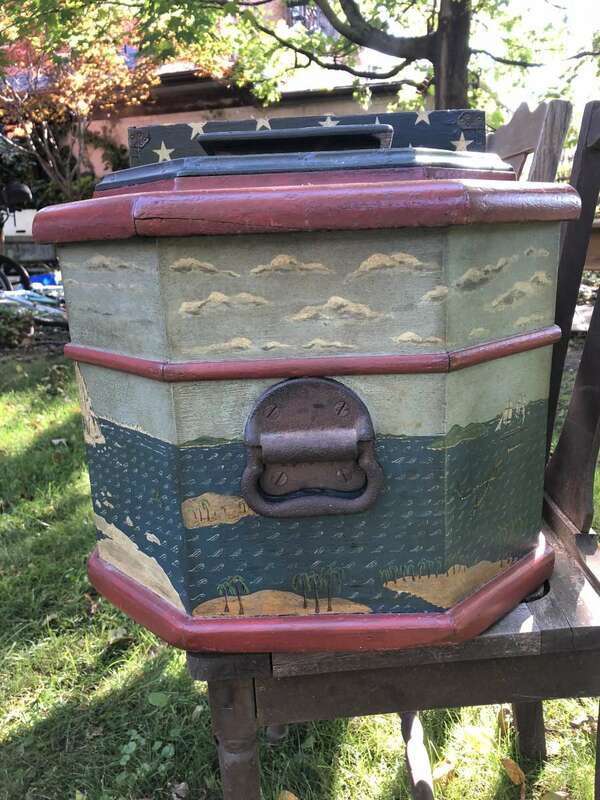 The casket features a full coverage folk art acrylic painting in an antique American nautical theme signed by Edwin Nagel 1993. 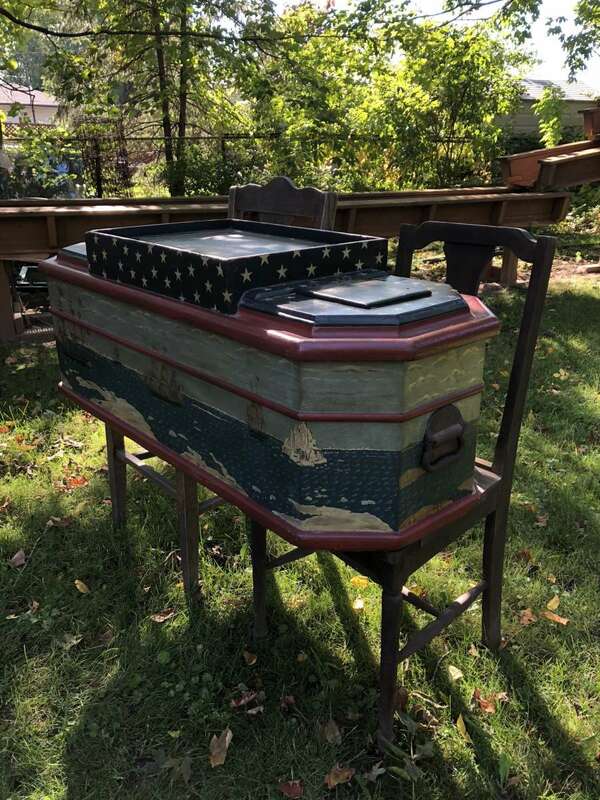 The casket is solid with original hardware, a tray was added to give it functionality. 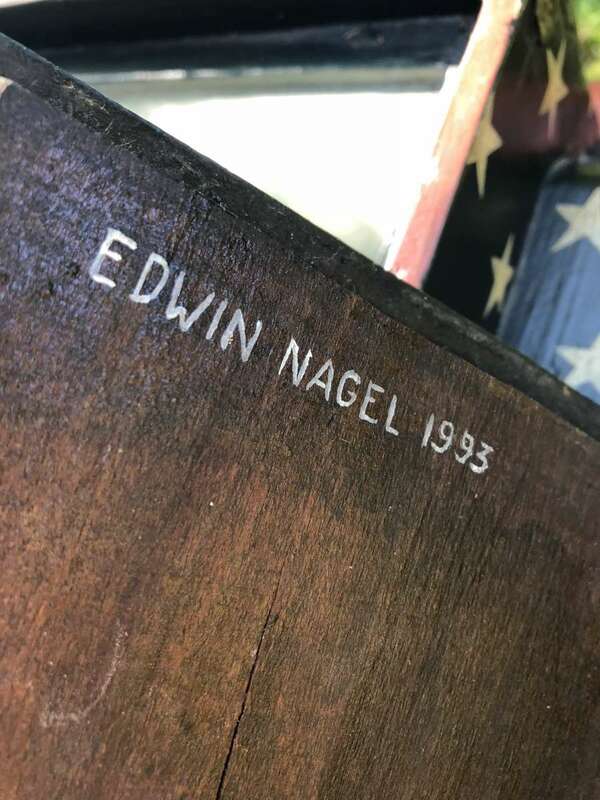 Edwin Nagel was born in Philadelphia, PA in 1925. 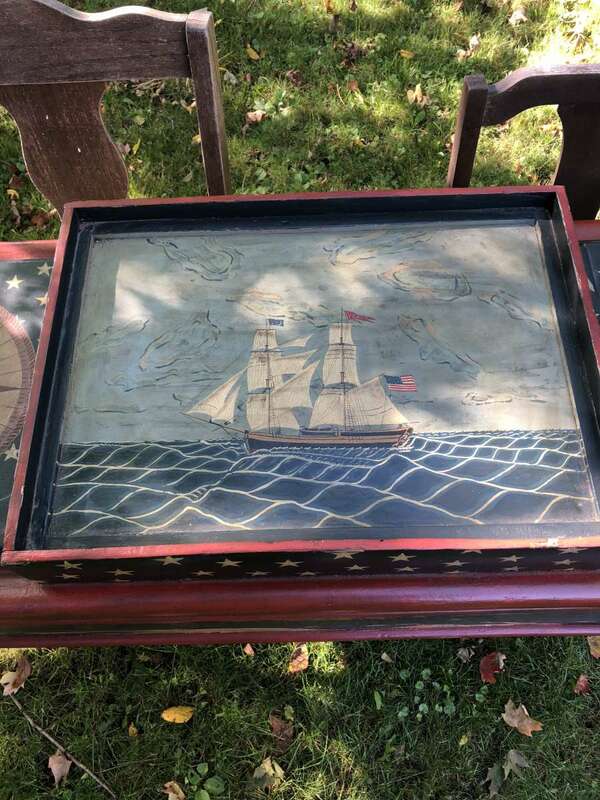 During WWII he served in the US Navy on a destroyer in the North Atlantic, Mediterranean and Pacific. 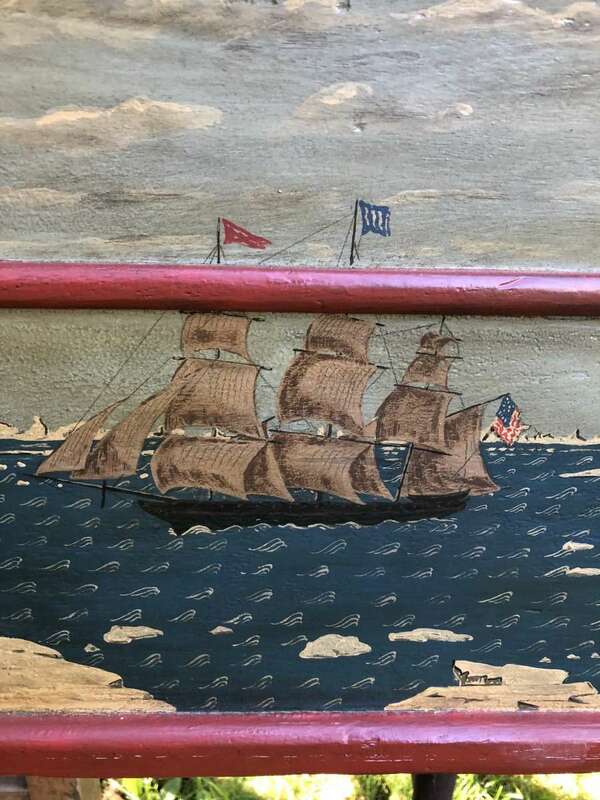 After the war, Ed attended classes at the Tyler School of Art at Temple University where he later went on to receive his MFA. 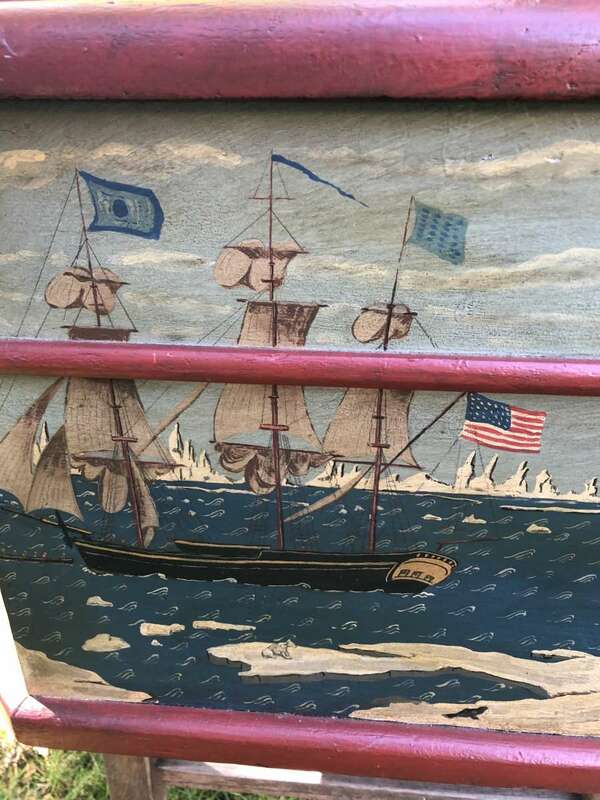 Over the past fifteen years he became more focused on nautical themes based upon his early navy life and involvement doing scrimshaw on sperm whale teeth. 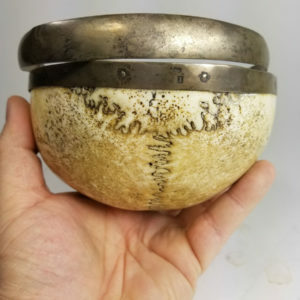 The 1972 embargo on sperm whale’s teeth created a direction change and now Ed concentrates on decorating primarily large and small boxes with whaling and nautical themes. 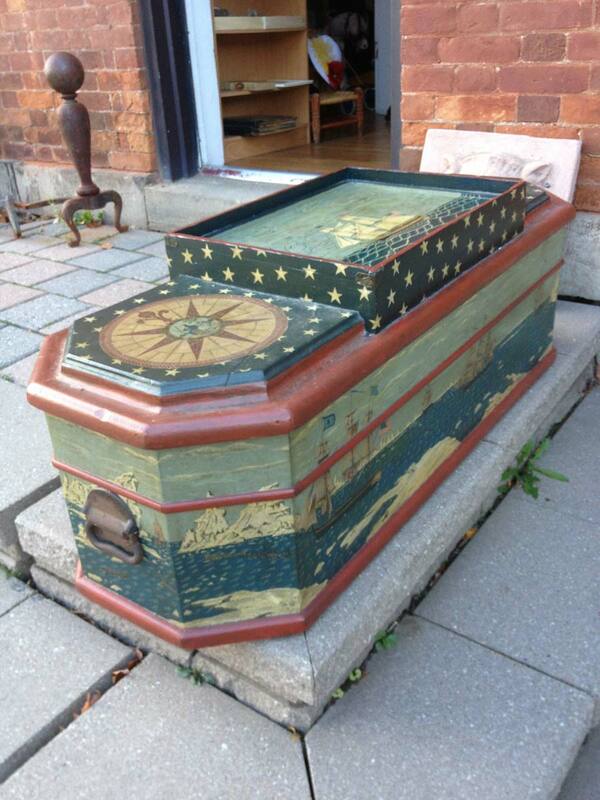 The boxes range from found cigar boxes to large chests that capture traditional form.